Our full diversity UHF microphones are suitable for live performance, singing, corporate functions, weddings and any other event. 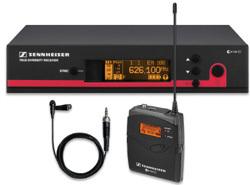 The range between receiver and transmitter is up to 100m, ensuring that they can be used in venues of all sizes. We can supply different frequency units, to ensure that you can daisy chain any number of units without radio interference. The output of the receiver is either XLR or standard 6.35mm socket. You can connect the output to your sound system, or you can hire one of our PA systems. Our receivers and belt packs come in single or dual configuration. You can select either a lapel mic or a headset mic, depending on the situation. Our units have a phase locked loop to ensure that there is no interference with other microphones. We recommend lapel microphones for indoor conferences and headset units for outdoor presentations, as these reduce wind noise considerably. 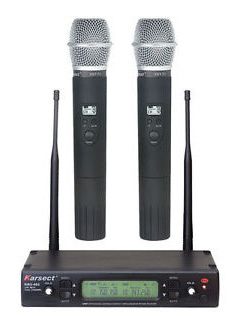 We also have combo microphones with one receiver and a combination of handheld and lapel microphones. 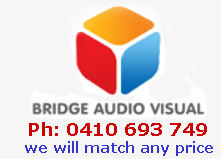 Our microphones are available for pickup from Bronte, or we can deliver them to your Sydney location individually, or as part of a complete sound system including mixer and suitable speakers. All the microphones we hire comply with ACMA's new frequency regulations. Please note that it will be illegal to use a cordless microphone that is tuned to the 694-820MHz band from the 1st of January 2015.